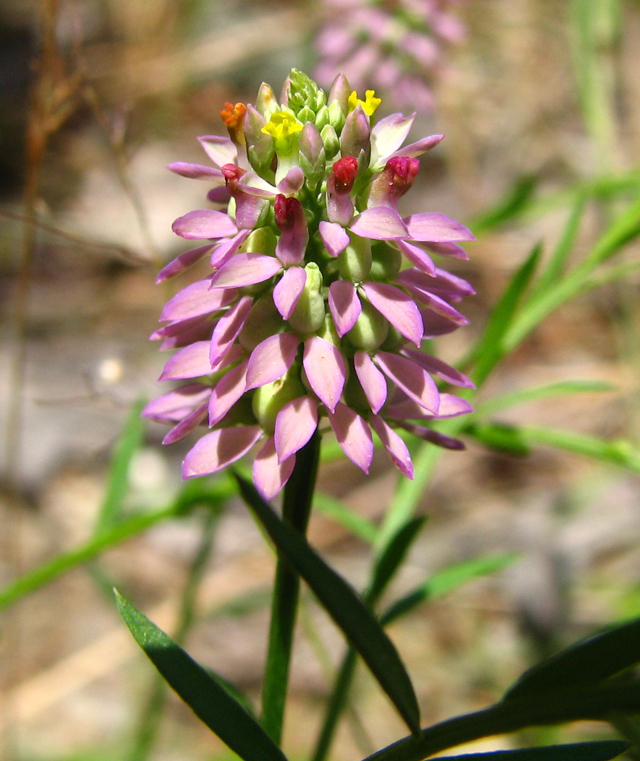 Botanical name: Polygala mariana Mill. Plant height: 4" - 16"
Foliage: Leaves alternate, simple margins, linear. Bracts persist after anthesis. Misc. 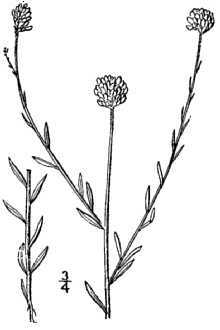 Polygala, Greek "poly" = more or many; "gala" = milk; mariana = of Maryland. 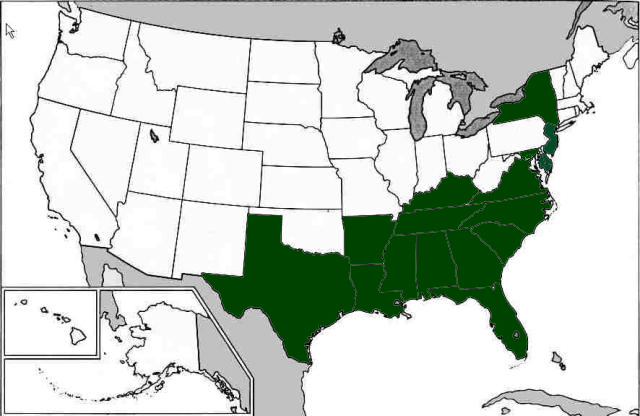 New population found 7/3/10 in Bear Swamp, Cumberland County, by Gerry Moore, PhD, Brooklyn Botanic Garden and Renee Brecht, Associate Director, Citizens United to Protect the Maurice River. The larva of the moth Phytoecia rhomboidalis feeds on this plant, as well as on Polygala lutea.